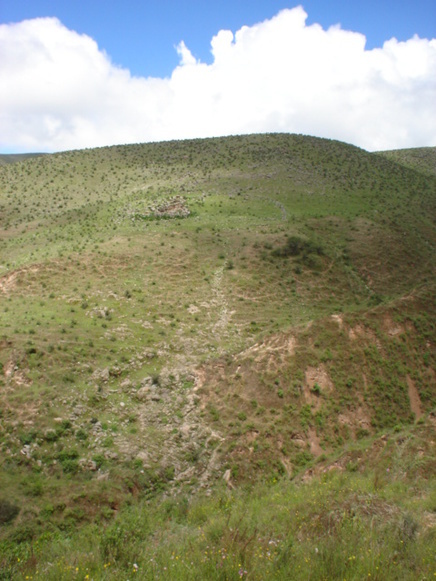 View of mouth of "Milagro" Mine. View of pegmatitic body "Milagro" mine. 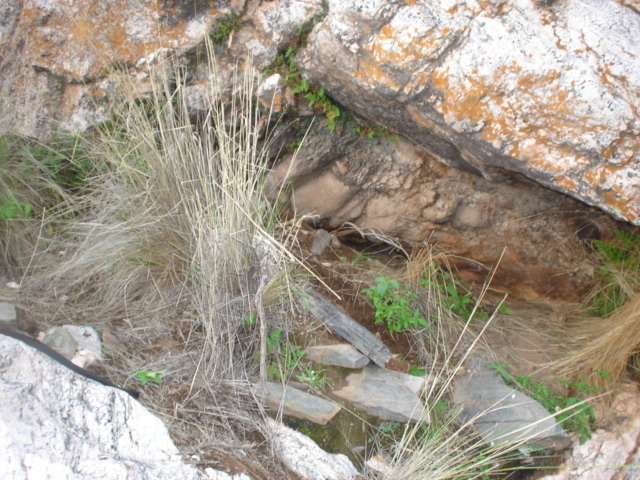 View of pink granodiorite vein. 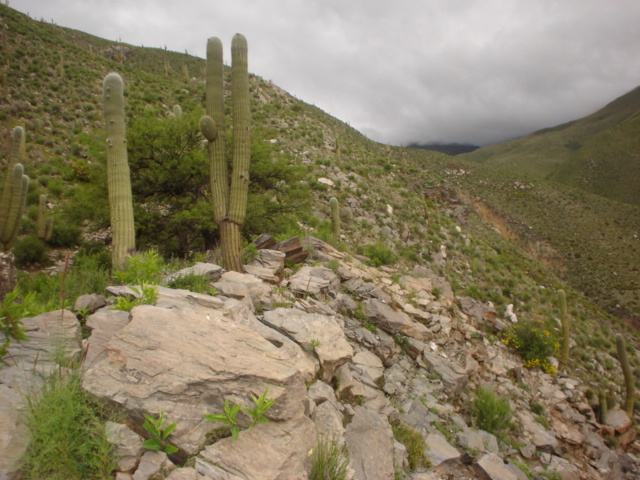 It exists in sierra de Quilmes,province of Tucumán mines of mica deposits where the larger lamina quality constitutes mica of cuts and the rest of the material is rejected as “scrap” without commercial use. Studies were conducted about the characterization of mica’s scrap in order to define its possibility for industrial uses. There are small mining producers traditionally dedicated to the exploitation and classification of mica Muscovite, where sheets of larger size and quality are mica sheet for insulation in general and the rest of the mica, waste or Scrap, call acopia in dumps without commercial use and constitute more than 70% of the production process. This last situation is the realization of some studies, which consist of the characterization and industrial use of this mineral. Hugo A. Peña (1970): Minerales y rocas de aplicación de la Provincia de Tucumán. Dirección Provincial de Minas. Tucumán. República Argentina. Padrón de Minas de la Provincia de Tucumán (1997). Galliski, M.A. (1999) Distrito pegmatítico Punilla. In E.O. Zappettini, Ed., Recursos Minerales de la república Argentina. Instituto de Geología y recursos Minerales, SEGEMAr, Anales, 35, 547–550. R. J. Tauber Larry (2012). Visita a los cuerpos pegmatíticos de Estancia Anchilla, Departamento Tafí del Valle, Provincia de Tucumán. R. J. Tauber Larry (2012). Visita al sector Pucará de Los Cardones, Departamento Tafí del Valle, Provincia de Tucumán. H. G. Albornoz.“CHARACTERIZATION OF MICA’S SCRAP IN THE DEPOSITS OF TALAPAZO, EL PICHAO AND RINCON DE QUILMES, SIERRA DE QUILMES,TUCUMAN”. R. J. Tauber Larry (2013). Visita a los cuerpos pegmatíticos de Talapazo, Departamento Tafí del Valle, Provincia de Tucumán.